Hiawatha was a strong and articulate Mohawk who was chosen to translate the Peacemaker's message of unity for the five warring Iroquois nations during the 14th century. This message not only succeeded in uniting the tribes but also forever changed how the Iroquois governed themselves-a blueprint for democracy that would later inspire the authors of the U.S. Constitution. 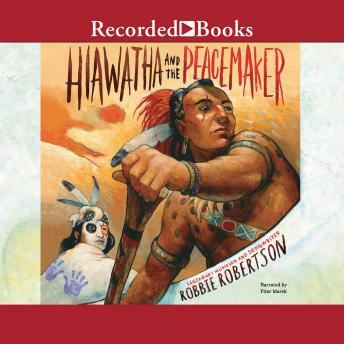 Caldecott Honor-winning illustrator David Shannon brings the journey of Hiawatha and the Peacemaker to life with arresting oil paintings. Together, the team of Robertson and Shannon has crafted a new children's classic that will both educate and inspire readers of all ages.